The perfect 4-day introduction to India! 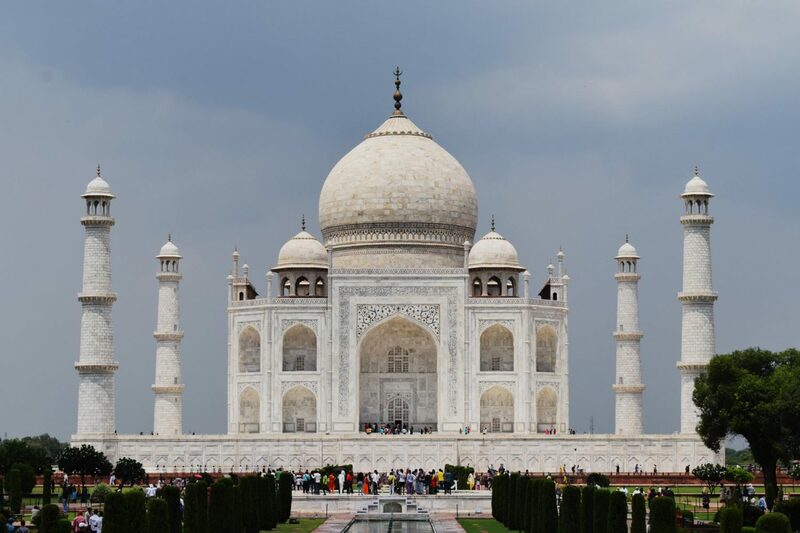 In four days we will visit India’s most essential destinations including Agra’s Taj Mahal, Jaipur’s Amber Fort and Delhi’s cornucopia of fascinating sights. But a journey with Reality Tours is much more than traditional sightseeing. 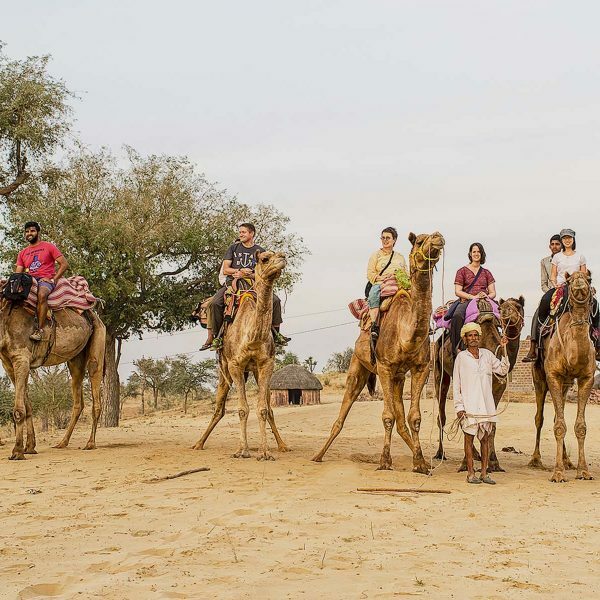 Our Golden Triangle Express takes guests around the must-see sights and brings them closer to the real people that make India such a vibrant and beautiful place. And all this accompanied by our guides. Our mission is to improve the quality of lives in the communities where we work. Like all of our tours, 80% of the profits fund our NGO based in Mumbai and Delhi. Thank you for supporting our programs by signing up for the tour. On your first day, we will travel together to the Sanjay Colony where you will have a walking tour of the community and get to know more about the working and home lives of its residents. 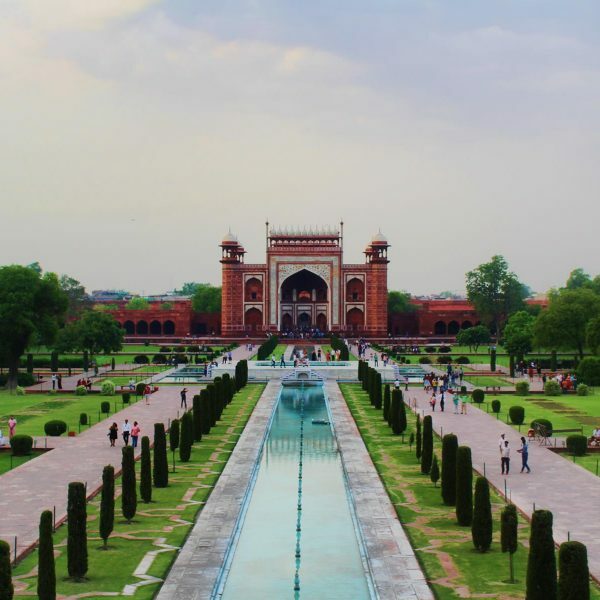 The tour ends in the early afternoon and we will have the rest of the day to do some sightseeing and visit India Gate, Qitab Minar, and Humayan’s tomb . In the evening, your guide will take you on a welcome dinner or a street food tour! Arrive in Jaipur on Day 2. We’ll arrive in Jaipur and check in to our hotel. 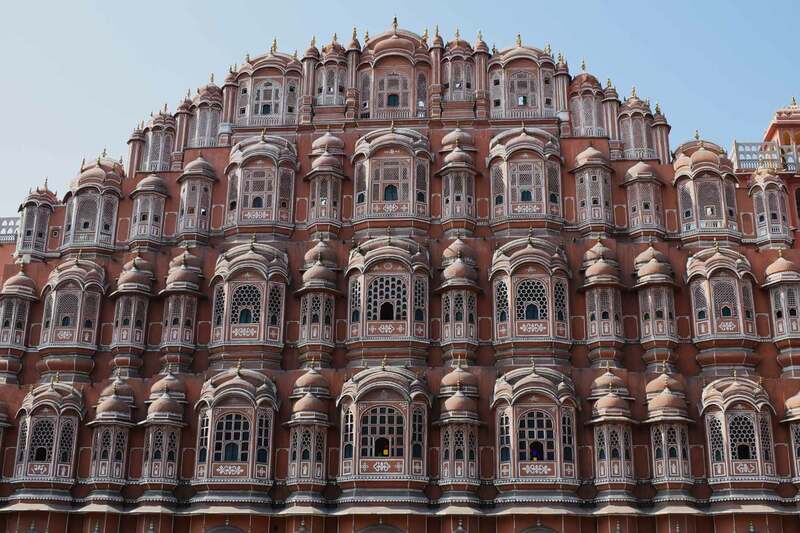 Jaipur is also known as the Pink City of India and you will soon notice this as almost every building within the historic centre is made and painted of pink terracotta colour. We will visit the stunning Amber Fort. Built in the 16th century by Raja Man Singh, this red sandstone building looks as majestic as it is fascinating. Once we back in the heart of the city, we’ll take time to admire the beauty of the Hawa Mahal, one of the most famous palaces in Jaipur. In the evening there will be a walk with your guide, and then time to relax and have dinner. Travel by train to Agra, departing Jaipur in the morning. Upon arrival in Agra we will check in the homestay where we will spend the night. Day to spend at your leisure or visiting other sights nearby. 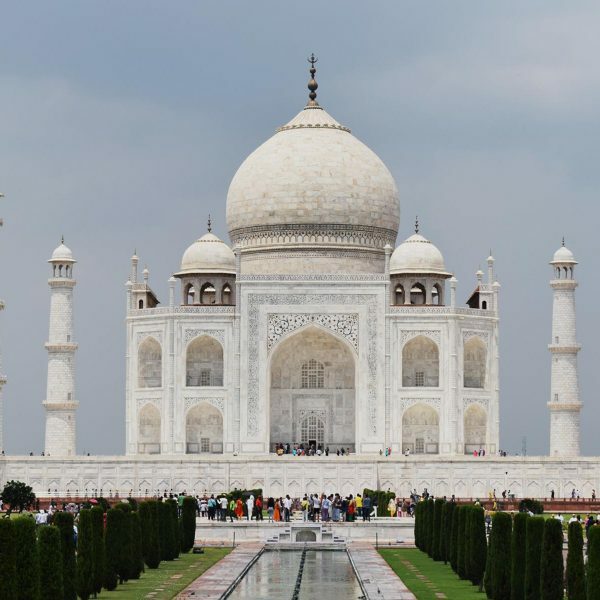 In the afternoon we will visit the Agra Fort and then the Taj Mahal at sunset, when you will be able to take some photos of this iconic building and enjoy the surroundings. We will head back to Delhi. We start the tour in Delhi, with a visit to the Sanjay Colony community. While India is a country with a rich history and fast growing modern economy, it still faces a plethora of social issues. In the afternoon, we’ll do a sightseeing tour of Delhi’s best sights! 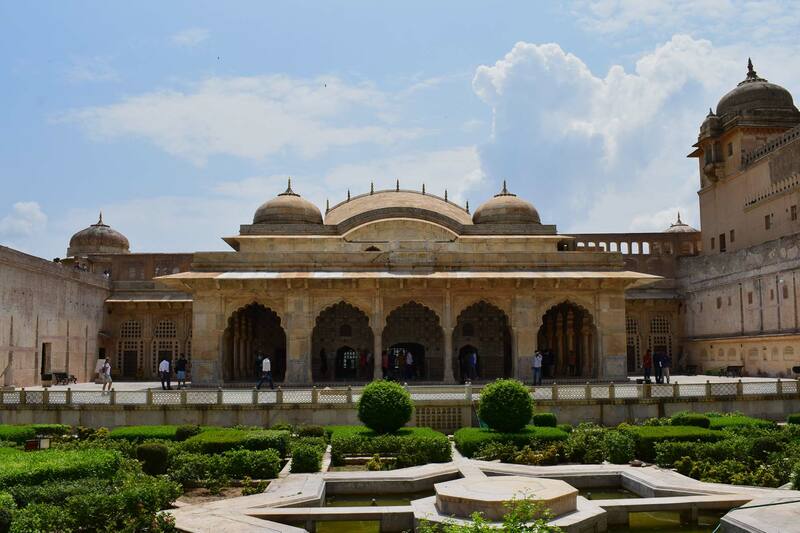 Next we’ll go to Jaipur to explore another historical city of cultural treasures, most notably Amber Fort. 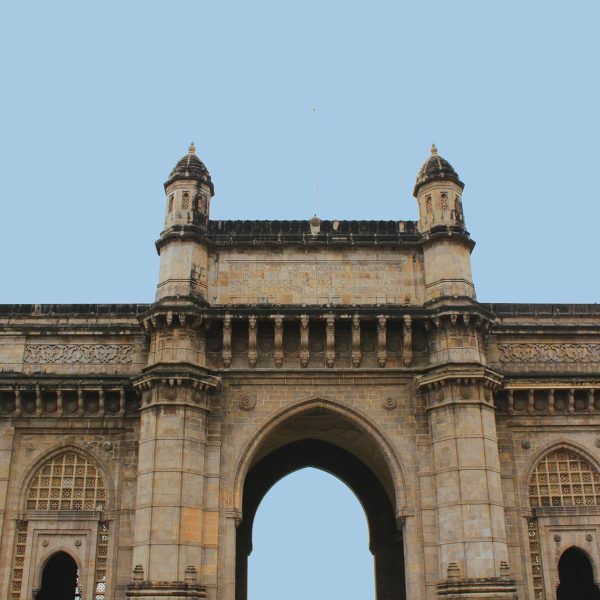 Built in white marble and red sandstone, you can be sure this huge and exquisite fort will amaze you! Then we’ll take a train to Agra and witness the timeless beauty of the Taj Mahal, the world’s most famous monument to romance. At present all our tours in the Golden Triangle are of fixed itinerary and duration. Unlike many operators we directly arrange all the tour services ourselves without using any agents. This makes sure we are confident in the quality of the service offered and allows us to focus on our unique local community connections in the areas visited. Nonetheless, all private tours can certainly be customised. Delhi has an international airport (Indira Gandhi International Airport). Domestic flights from Mumbai and other major Indian cities are also available. Taking the train from Mumbai is another option if you’re up for a 24 hour overnight train! The tour includes various meals including breakfast in the majority of our overnight hotels, a welcome and a farewell dinner.